Amazon is reportedly dominating the market for voice-controlled speakers in the United States. According to market research firm eMarketer, Amazon's Echo and Echo Dot speakers collectively claim a market share of 70.6 percent in the segment for digital assistant-enabled wireless speaker systems. Google Home, the smart speaker from Alphabet Inc. reportedly has a market share of around 23.8 percent, while similar offerings from other companies have failed to gain any market share. Reuters reports eMarketer as saying the number of active US users with voice-controlled speakers will double to 35.6 million this year. Amazon announced Echo in November 2014 as an effort to move beyond its Kindle e-readers in the hardware segment. The company then followed up with Echo Dot and Echo Tap in 2016, lowering the price and putting its Alexa voice assistant in the hands of more users. Since then, the company has expanded its Alexa voice assistant to third party customers with Lenovo joining the fray with its Alexa speaker. Amazon company recently introduced Echo Look, which is camera system with Alexa than can offer users style tips. "More users means more data that can improve Alexa's understanding and could make it a top platform for the voice like Windows is for desktop," eMarketer notes in its report. Amazon has reportedly sold over 10 million Alexa-enabled Echo devices and is reportedly set to introduce a new system with integrated touchscreen. The company also offers special discounts for customers placing an order using Alexa and it could soon turn this digital assistant platform into a potential revenue machine. 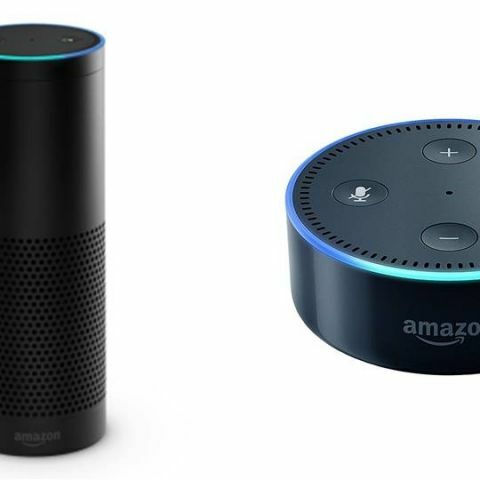 Amazon, however, is not alone in this race to voice-controlled speaker ecosystem. Google Home, which was announced in October last year, does more or less the same thing and is found to be accurate in certain areas like answering search queries. Google Home supports up to six different users and the Assistant on Home is also available on Android devices. Microsoft has announced its first voice-controlled speaker in collaboration with Harman Kardon called Invoke and Apple is rumoured to showcase its 'Siri Speaker' at WWDC next month.